Having someone break into your home is not a pleasant thought, but like having a spare tire in your car in case of a flat or a fire safe in your home in case of property damage, it’s smart to take precautions. You know you need to protect your home from a break in, but where do you start? And how much will it cost you? Won’t a determined enough burglar be able to break in no matter what you do? Not necessarily. As you can see, your best bet isn’t to try to turn you home into an impenetrable fortress, but to drastically lower the chances of a successful break-in by making it too difficult for a burglar to gain access quickly. Statistics and graphics like this are nice, but what practical things can you do to protect your home from a break-in? Here is a list of low-cost measures (from First Watch Security) you can take to make your home much less likely to fall victim. According to the graphic above, the front and back doors are two of the most essential parts of your home to secure. If the average burglar wants to spend no more than sixty seconds to break into a home, these are some great options to make him reconsider his attempt. This one is obvious, but make sure you have good, sturdy locks on all your exterior doors. You can find everything from bolt locks to chain locks to make your doors tougher to get through. These are a great, inexpensive option to add security against kick-ins. Not only do door reinforcers make the door much stronger, but their heavy-duty appearance may also give potential burglars the impression that breaking through would take too much time and effort to even attempt. Latch shields or guards are useful for preventing burglars from prying open your door (be sure to pay attention to whether you need the inswinging or outswinging variety). This one won’t help you much when you’re not home, but a door viewer can give you peace of mind when you hear someone knock on the door when you aren’t expecting company. There are some crooks who will simply ring the doorbell and wait for the door to open. Make sure your windows and patio door are secure as well! Many of these particular Window and patio door locks can lock in either closed or vented position. Patio doors and first-floor windows are fairly typical points of entry for burglars, so don’t overlook them! What steps have you taken to secure your home, and what future security measures do you have in mind? 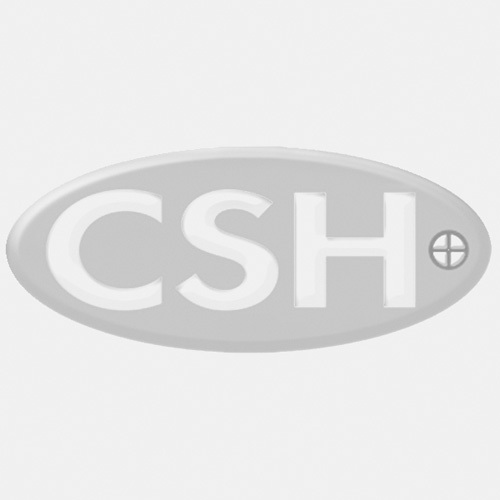 Be sure to check back to the CSHhardware blog later for tips on securing your valuables in your home! In case a really determined crook does gain access, you don’t want to give him an easy time of grabbing valuable items you have stashed in your closet or dresser drawer.